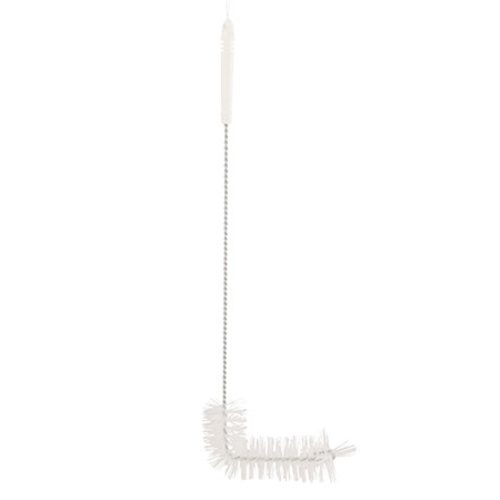 Italian made carboy cleaning brush that is 23 inches long overall. Brush section at the bottom is 6 inches long x 2-1/4 inches wide. Whte plastic handle with hook and hole for hanging. Made in Italy by Ferrari. I saw it when ordering a different carboy brush so decided to do a comparison. If you can't get your carboy or metal fermenter clean with this baby, nothing will help. The bristles are very stiff, so not good for plastic.